How often does your home feel dirty no matter how much time your spend cleaning? Our carpets and upholstery capture a ton of dust, dirt, and bacteria! No matter how much time you spend cleaning the home, some dirt can only be removed completely by professionals. Tile can also show just how much dirt is on them! Grout can begin to look dark and discolored. Tile faces can begin to show dirt and stains that have been imbedded into the stone. How can your home feel cleaner, healthier and safer? Calling a professional is a great way to improve your home in many ways. In order to find the most qualified person to do it, you could look up carpet cleaning reviews! Professional cleaning is not a cheap process so you want to ensure you are getting the most out of your money! Trusting reviews and experiences from other people is a great way to know exactly what you are getting when you make an appointment. Looking through carpet cleaning reviews can be tedious which is why this list of reviews was compiled just for you. All Star Chem-Dry has amazing carpet cleaning reviews! They have been in business for 5 years and consistently receive gleaming reviews from their clients! “Our first experience with All Star Chem Dry. Anthony came out, cleaned our carpets. We were hoping they turned out well, had “normal traffic” wear. The end result far exceeded our expectations. They turned out incredible. Additionally, Anthony was very professional and courteous. He explained everything upfront, all the options and costs. We never felt any sales “pressure” to choose level of service or another. We highly recommend All Star” – Kevin R.
Nobody wants a stranger within their home so it is important that the people we have out to clean our carpets is professional and polite. It is a professionals job to ensure that you feel comfortable and ensure they create a trustworthy bond with you. This carpet cleaning review shows that the technicians at All-Star Chem-Dry are more than polite, professional, and informed. “All Star Chem Dry went way above and beyond! When my scheduled carpet cleaner cancelled I called and talked to Mike. He fit me in same day to clean our carpets. He and Anthony were on time, courteous, quick and did a fantastic job! One room had major pet urine issues and the carpet looks like new again! The price was higher than some other companies but 100% worth the small amount extra for the level of customer service and quality of product. I would not hesitate to use them again and will be recommending them to friends and family!” – Kate W.
Quality over quantity. This has been a saying for generations. All-Star Chem-Dry performs a hot water carbonated extraction cleaning. This ensures that all of the dirt is removed entirely from your carpets. Using a green certified solution which ensures that your children and pets are safe! Your carpets will feel as if they were freshly installed once these professionals come to your home and perform their cleaning. 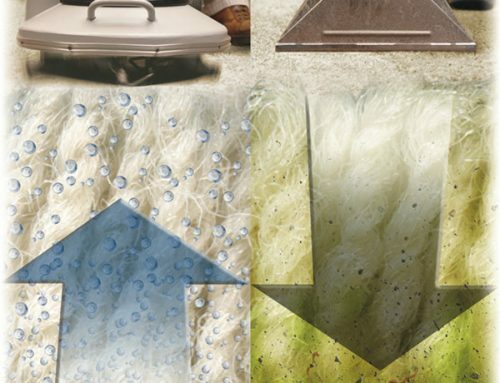 “We called Chem-Dry to service our new woven rug that our dog treated like a backyard lawn. Luke and Anthony were very professional, timely and consultative. They treated our rug by hand. The odor is now non-existent. Thank you, Chem-Dry! we will are very satisfied and will definitely recommend this team to anyone we know. High five.” -Jimmy K.
If your pets have accidents on your carpets or upholstery, All Star Chem-Dry has a solution. Technicians will use a special light to locate the specific spots of urine and then use their pet urine removal treatment. This treatment breaks down the enzymes within the urine and then eliminates it entirely. The urine odor will be completely removed from your home! This treatment will work wonders on your carpets and help you forgive your little bundle of fur. “All Star is right! Luke and Anthony did an amazing job on our carpet. Our carpets look brand new! They were very courteous, respectful and energetic. Being a repeat customer, Anthony remembered having been out to my residence before too! That’s important to me as a customer because it shows that we’re not just another house they are providing a service to. As a pet owner our home suffers from the typical pet accidents and just your standard wear and tear on carpets. Anthony and Luke inspected our carpets, and they clearly explained the services available for my particular cleaning needs. There was no pressure sales involved. They just provided the services they recommended and made me feel comfortable with selecting the services I thought were the right fit for me. Don’t fall for those other Chem-Dry companies that may have an offer with Groupon for discounted services. Check the reviews. This why I’m a repeat customer with All Star, because they’re well reviewed and I’ve personally experienced their great customer and high quality work. I can’t recommend these guys enough! My carpets look great! If you’re looking for a company that provides reasonably priced, excellent services, with great customer service, it’s a no brainer. Choose All Star Chem-Dry!” – John A. When you are looking at carpet cleaning reviews, it is important to look for those that are lifelong clients. If you can form a relationship with your carpet cleaners, you know exactly what you will be getting each and every time. It is the companies job to ensure happiness within their clients. “Mike did a great job cleaning my tiles and grout. I’m very happy with the result and his service.”- Judy P.
All Star Chem-Dry carpet cleaning reviews also include their other cleaning options! If you thought this cleaning company could only clean your carpets you will be pleasantly surprised to learn that they also can clean your tile and grout or upholstery as well! No matter what you are wanting to get cleaned, the technicians will ensure a deep clean using their green certified solution! If you were looking for a carpet cleaning company that could clean your entire home with a toxin free solution, you have found them! All Star Chem-Dry’s carpet cleaning reviews show just how amazing they really are. Reviews are helpful to any company because it proves to new clients just how great they perform their job. If your home needs professional carpet cleaning, upholstery cleaning company, area rug cleaning or tile and grout cleaning you have found them. Trust the reviews. With a 5 star rating on Yelp, this company has been proven to be the best. If you are looking for informed, professional, and kind technicians to make your home cleaner, healthier, and safer you can contact All-Star Chem-Dry today and set up your appointment!